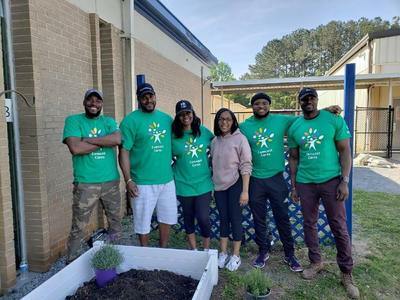 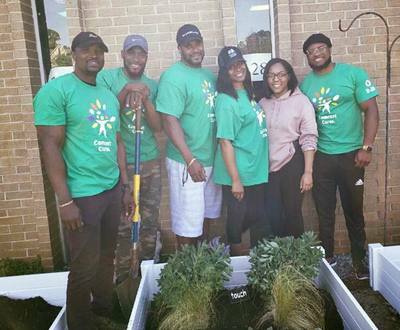 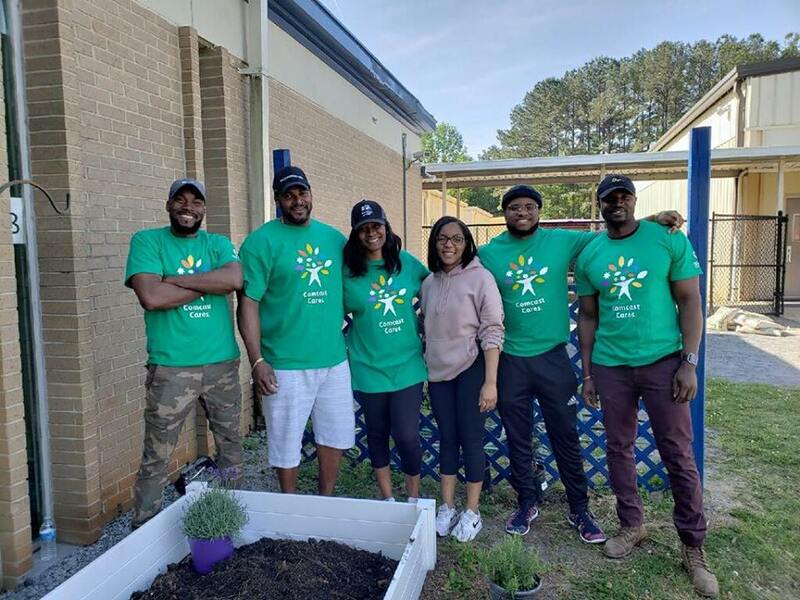 How can we help our community THRIVE and grow? 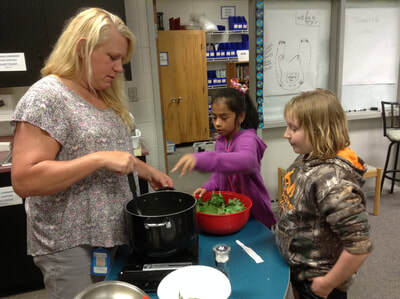 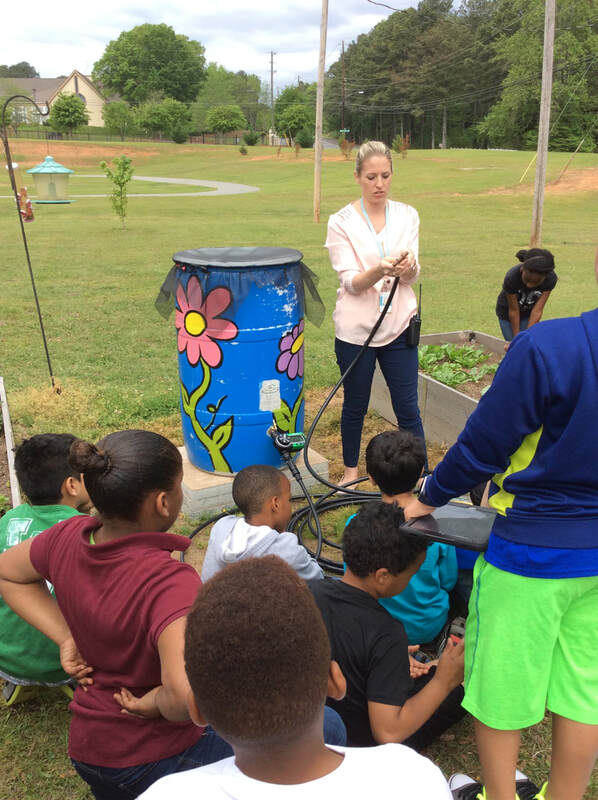 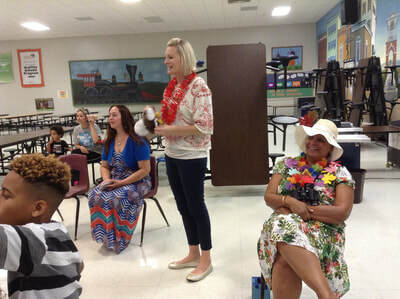 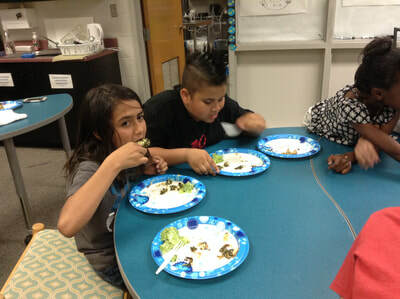 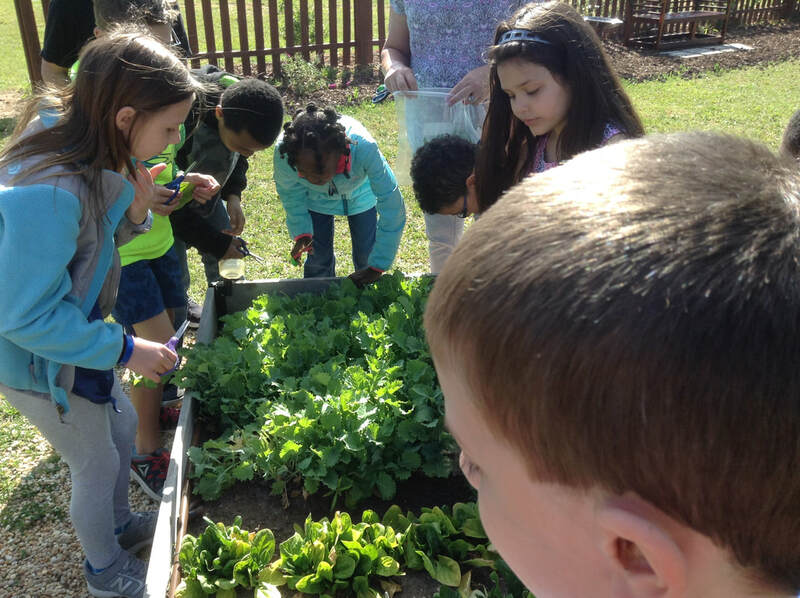 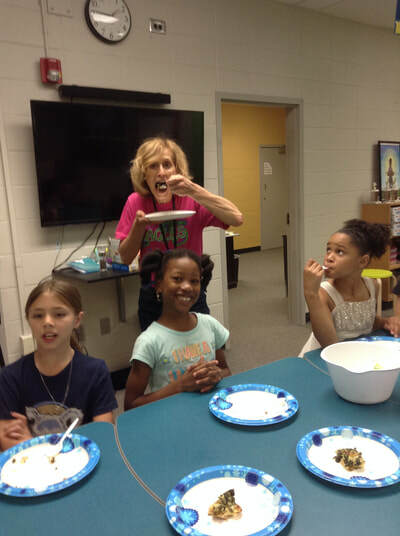 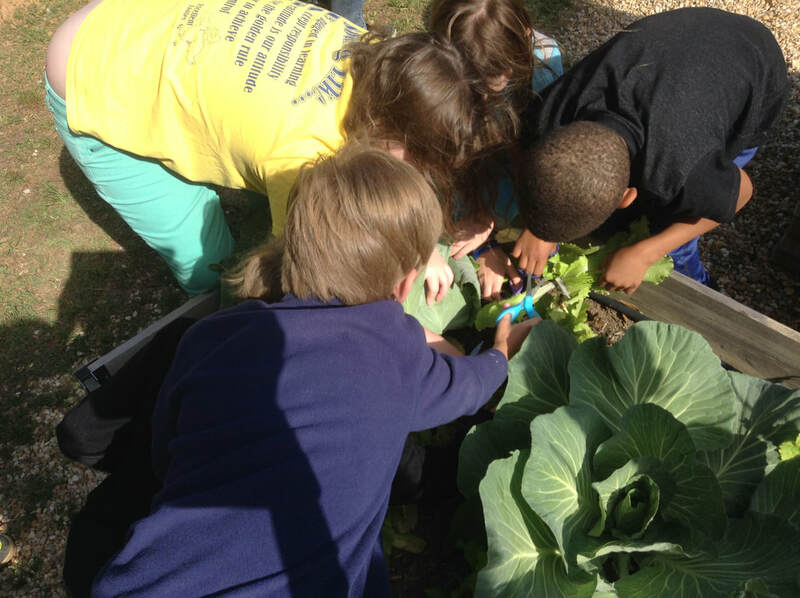 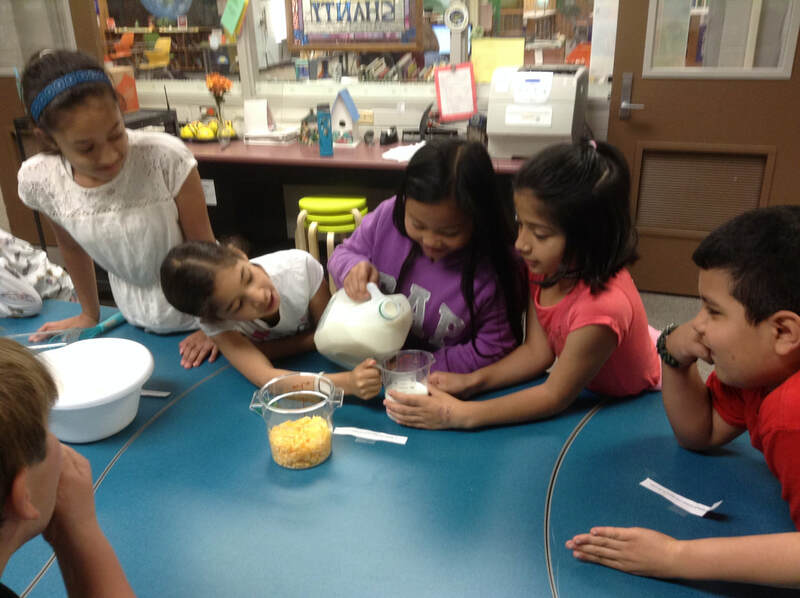 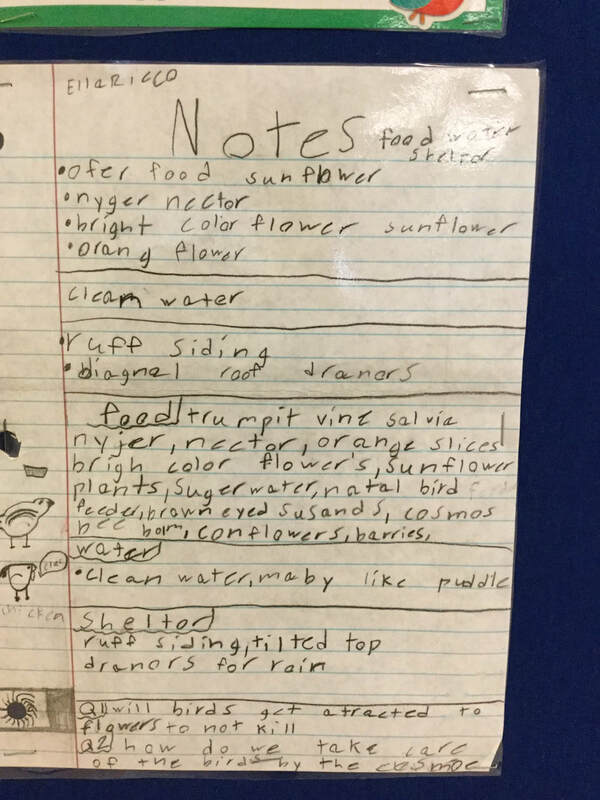 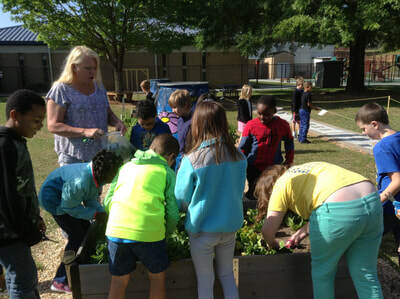 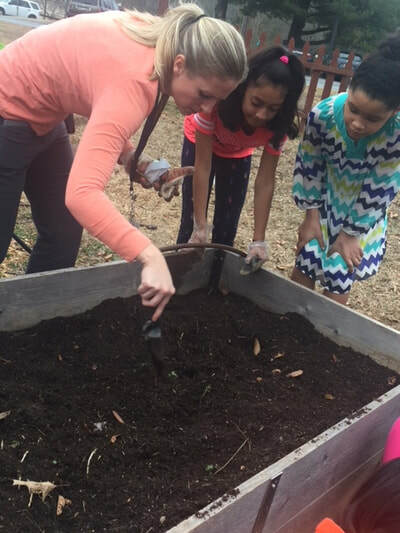 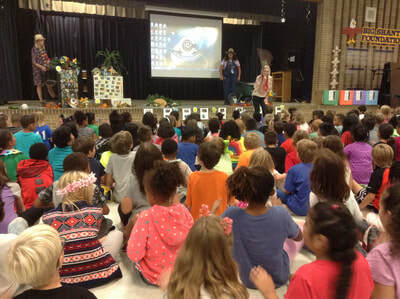 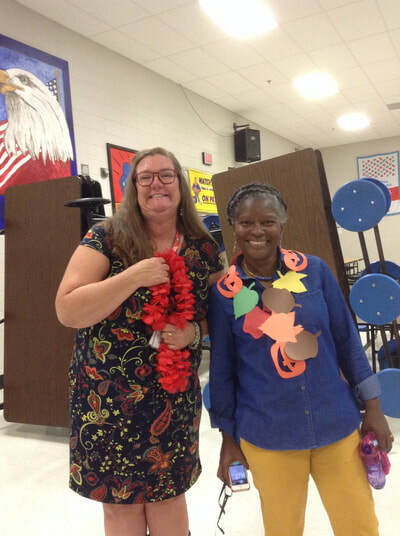 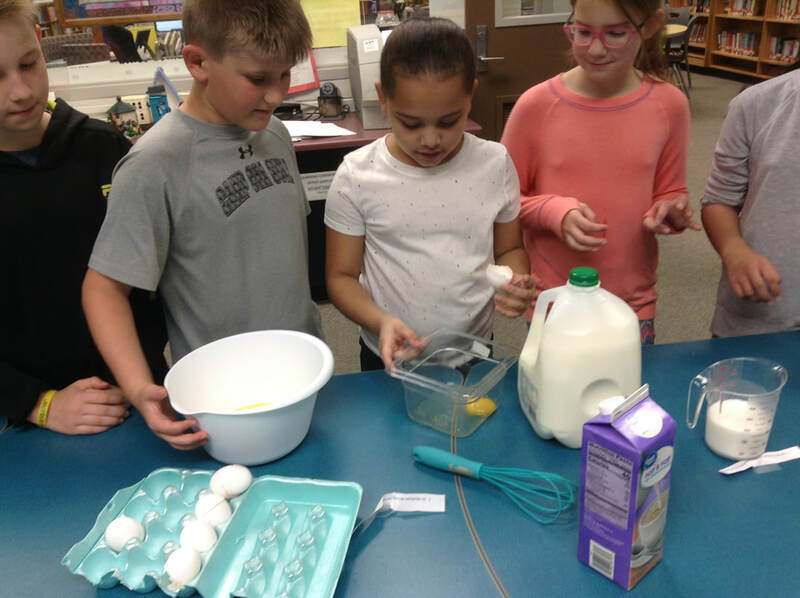 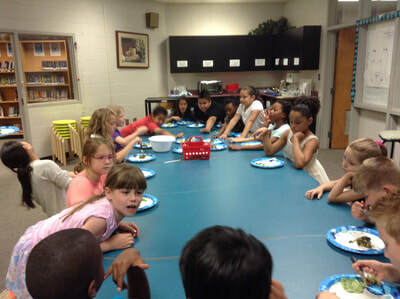 Taste- Third grade gardens: with a focus on planting seasonal foods to harvest and send home with students. 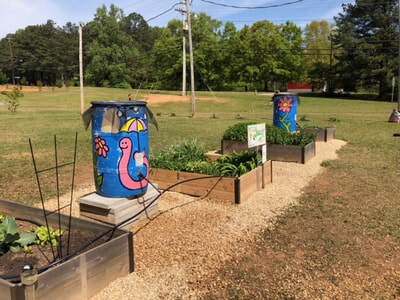 Community members will be invited to take vegetables home after hours. 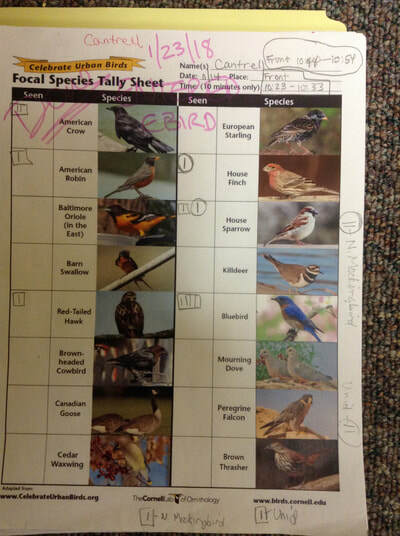 Hear- Focus on bringing songbirds to BSI. Use the sensory garden to add natural shelter for birds (bushes) and more bird baths and houses. 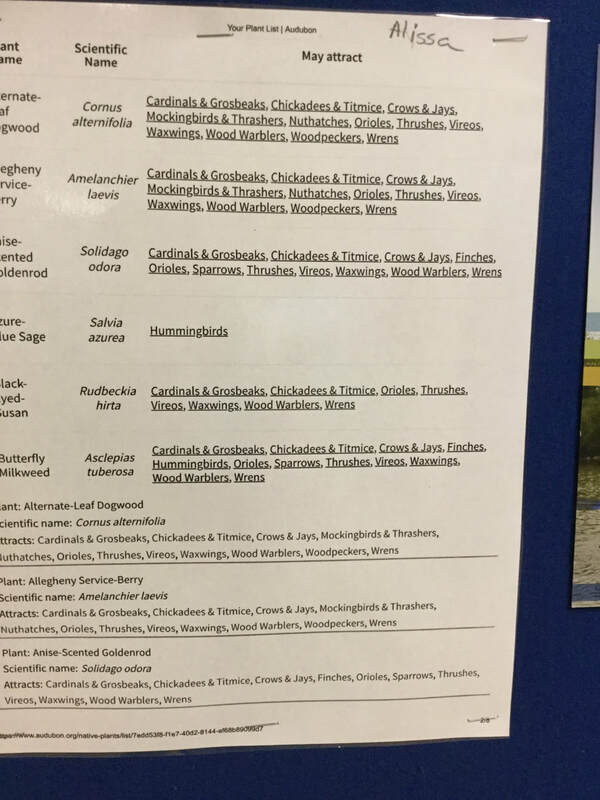 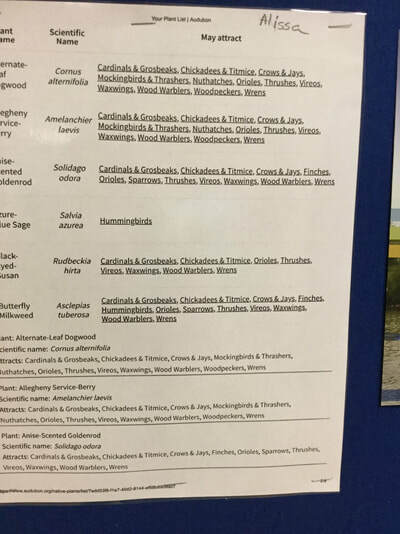 Sight- Create field guides for the plants and birds found in the sanctuary. 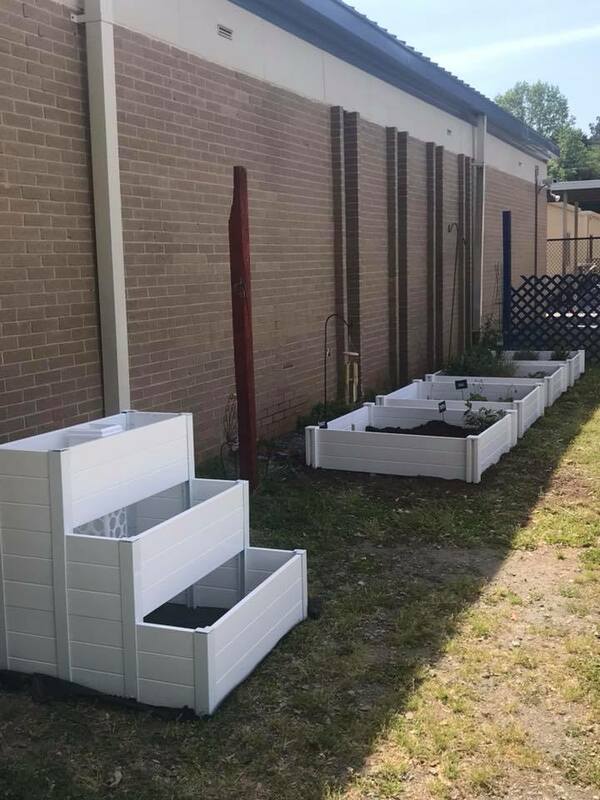 Also, some art/STEM projects to add decorations to the area. AUGUST - Set up notebooks, and ASPIRE kick-off event. 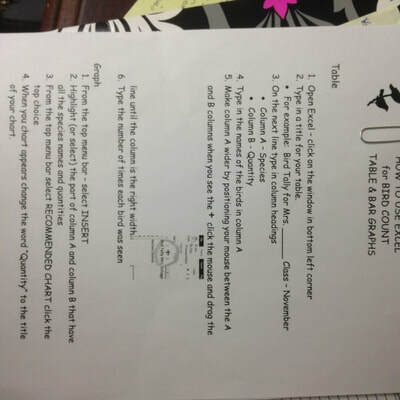 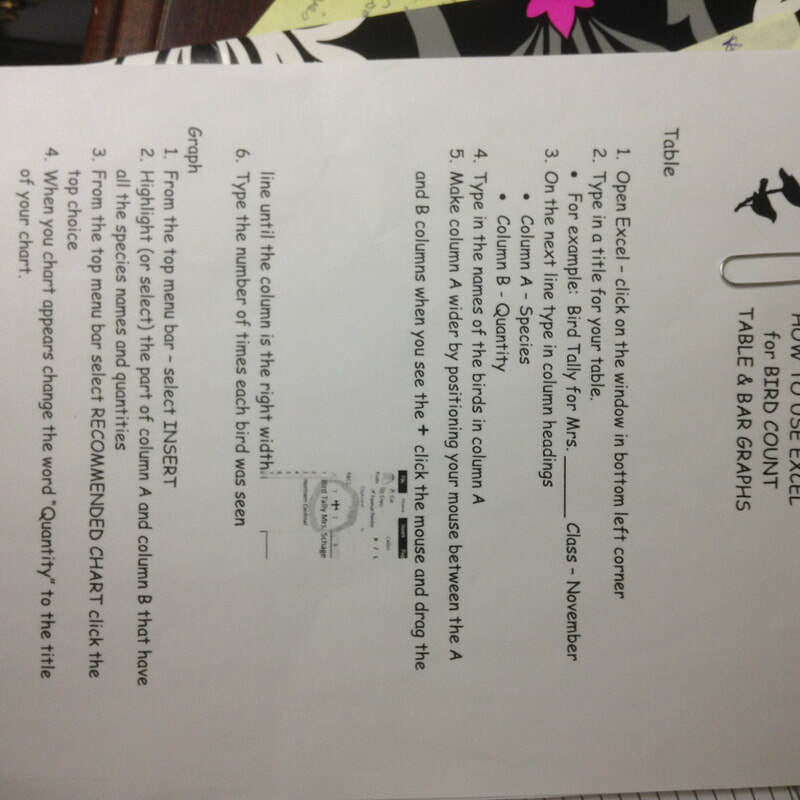 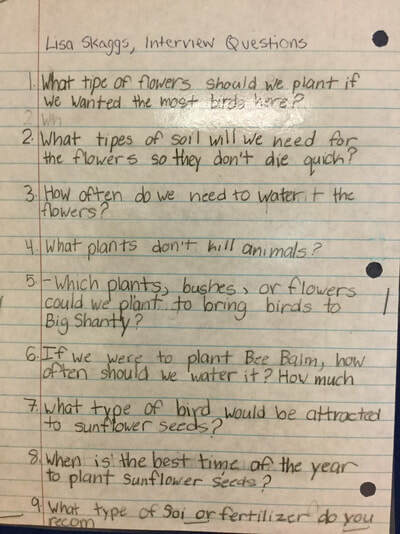 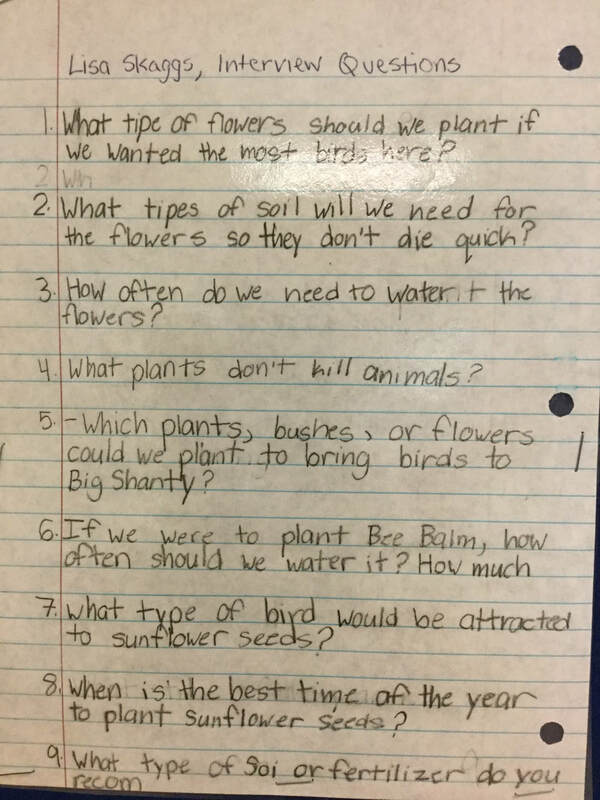 SEPTEMBER - Conduct soil and plant growth experiments. OCTOBER - Plant in raised beds and work on irrigation system. 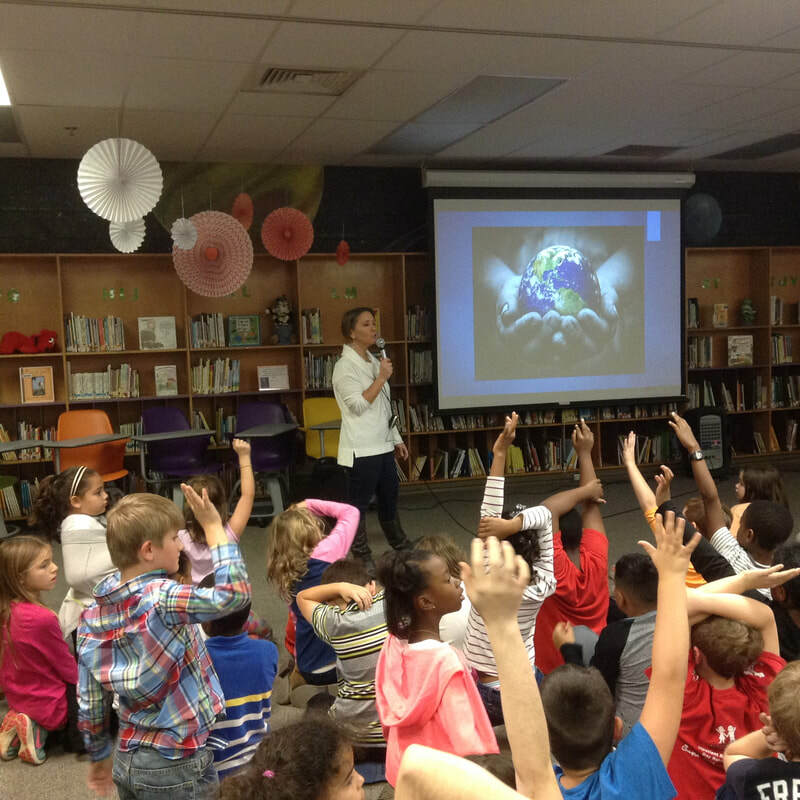 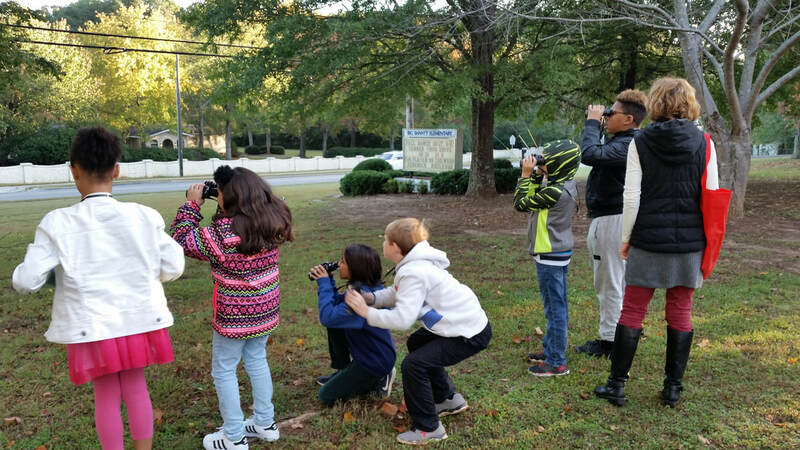 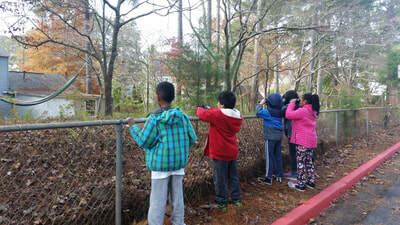 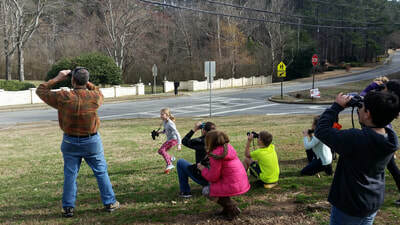 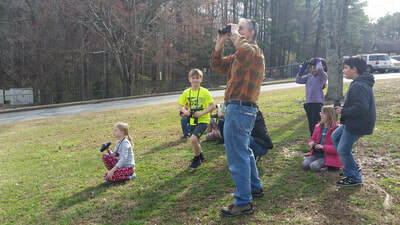 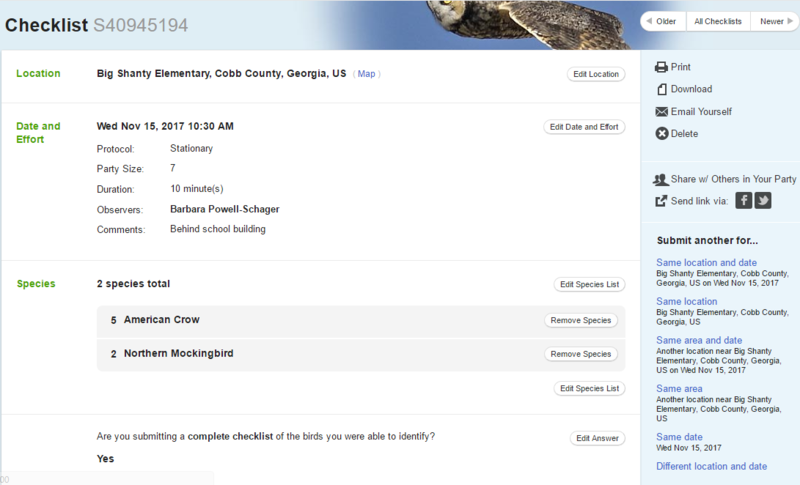 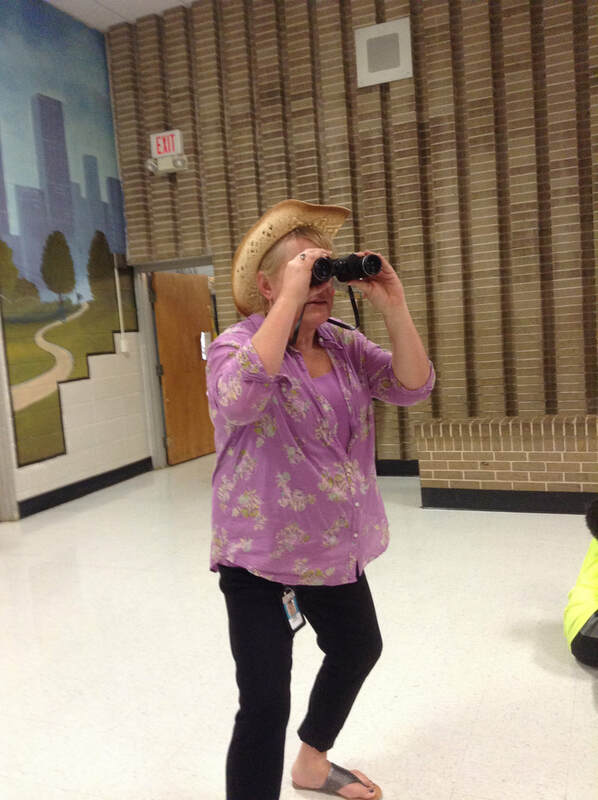 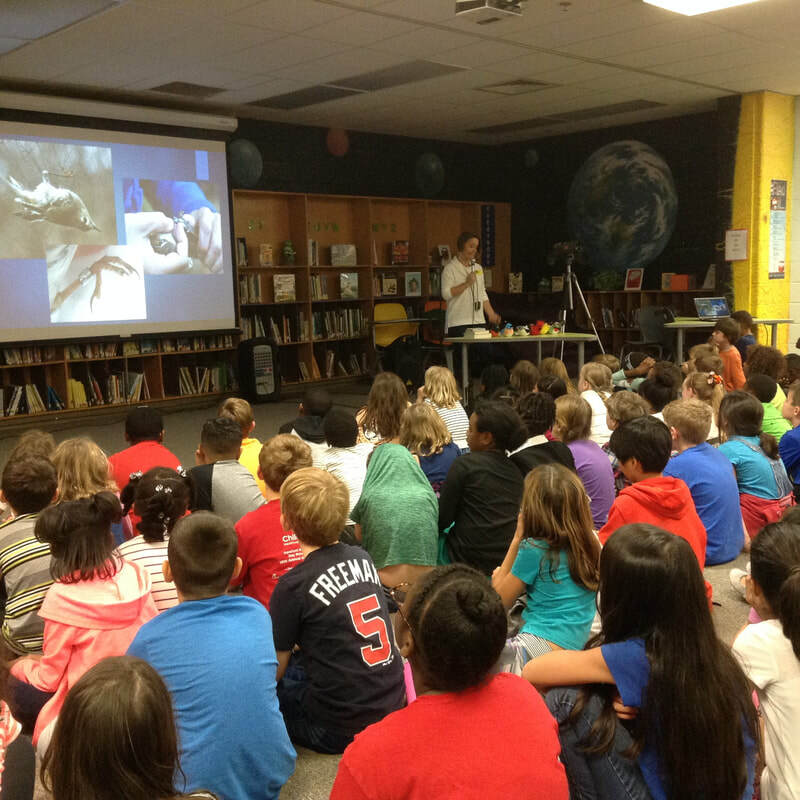 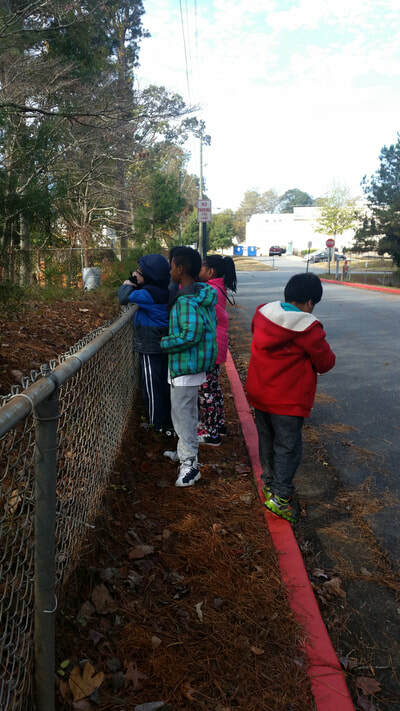 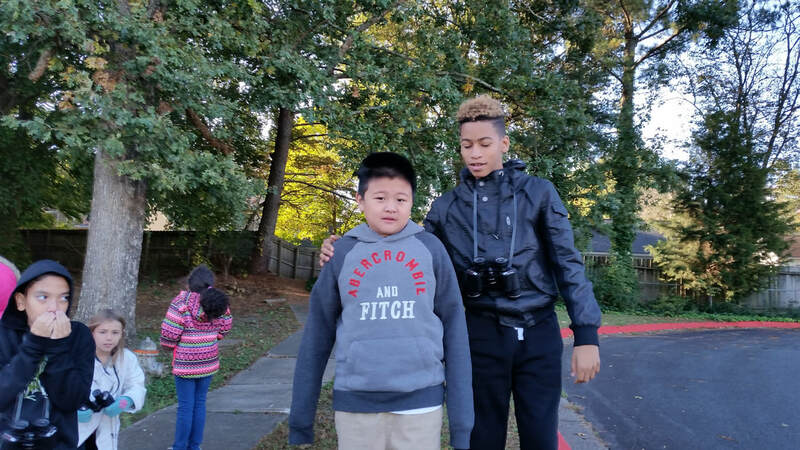 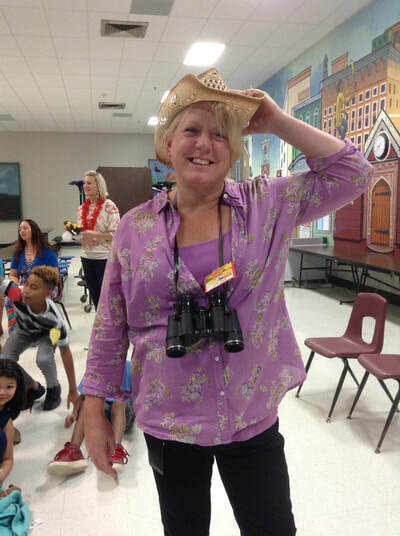 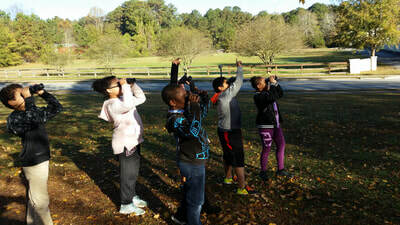 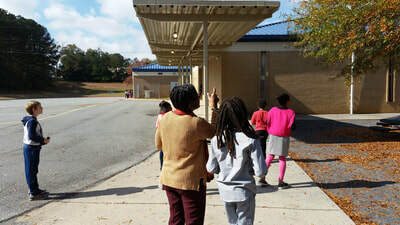 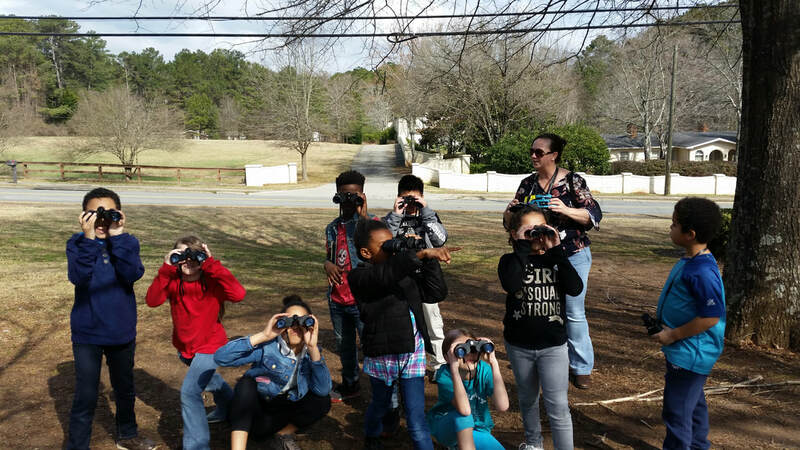 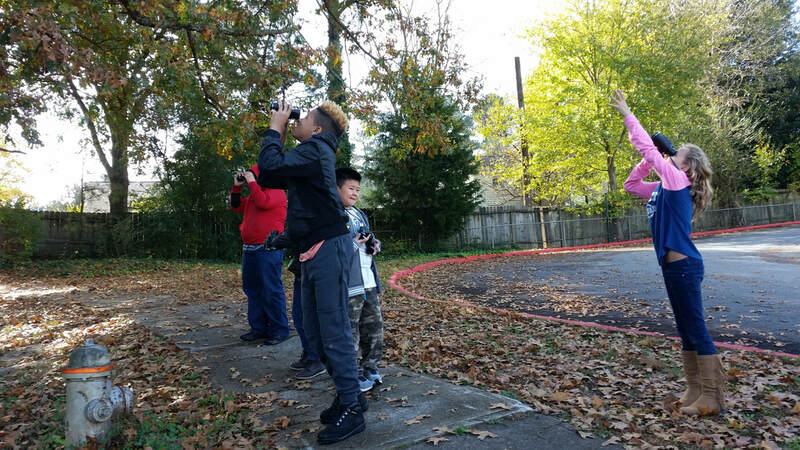 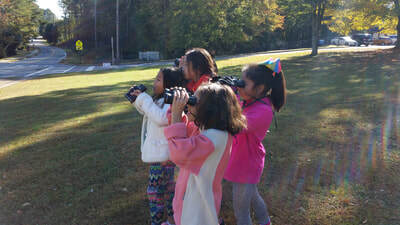 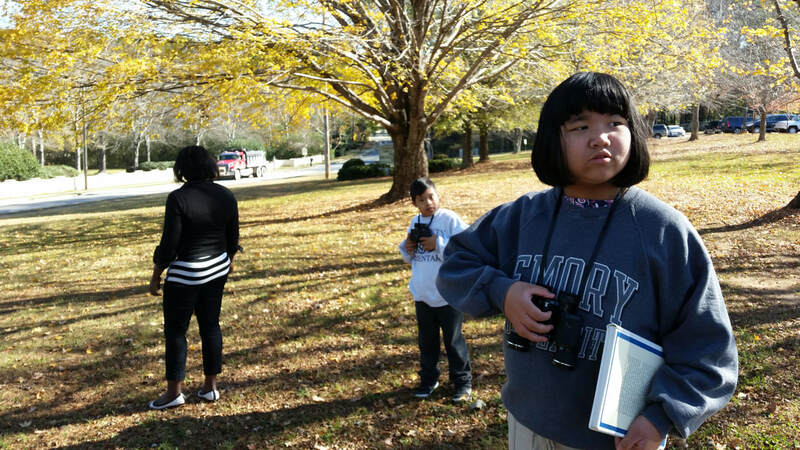 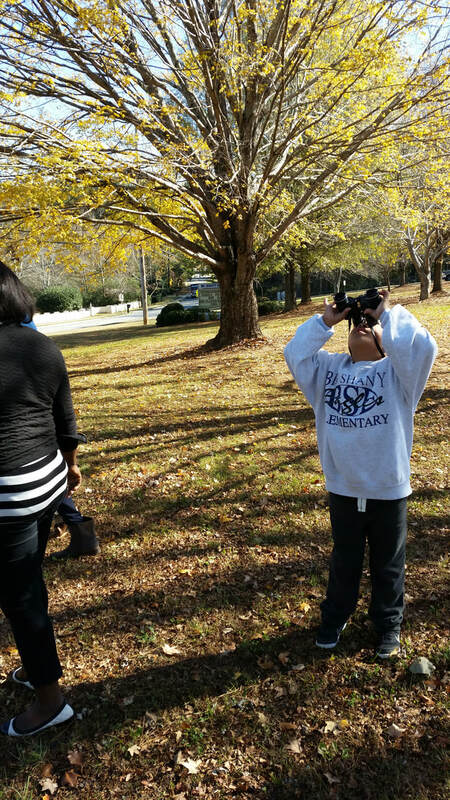 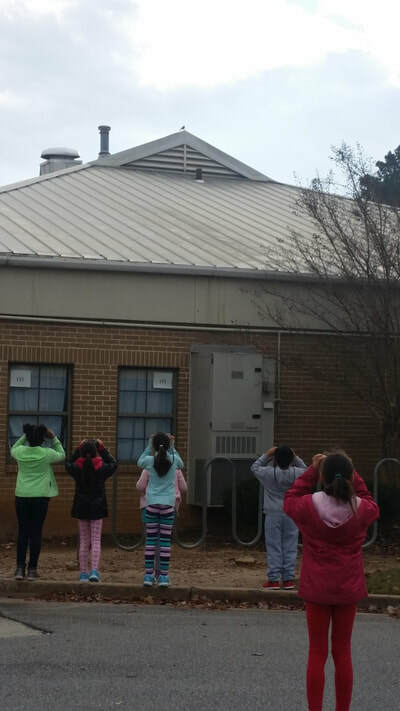 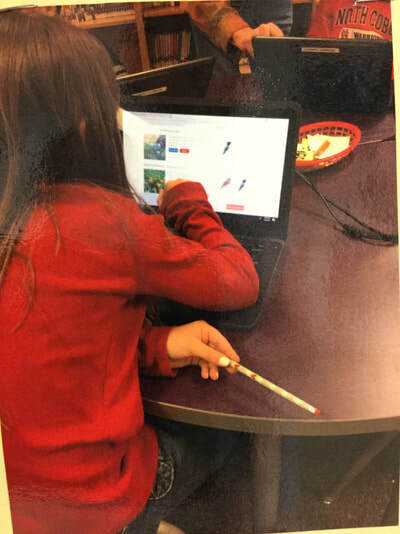 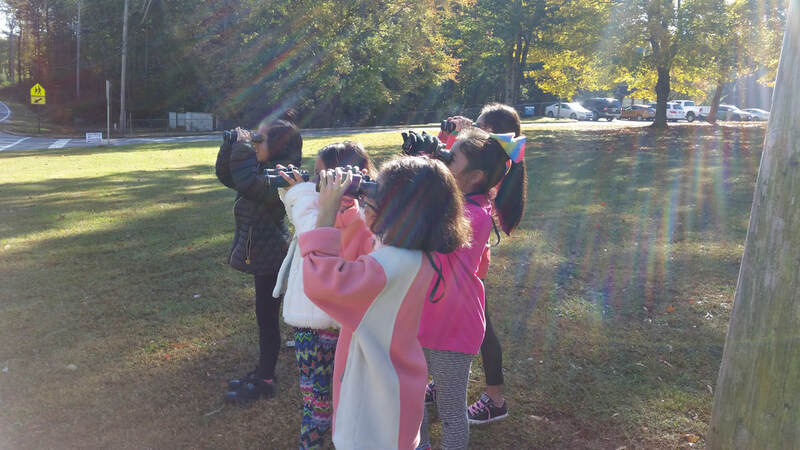 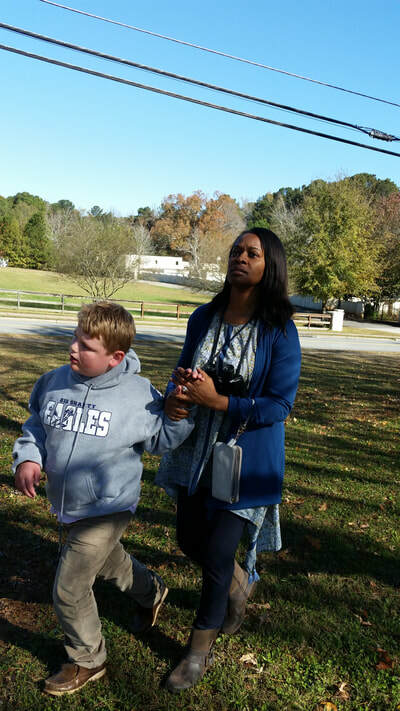 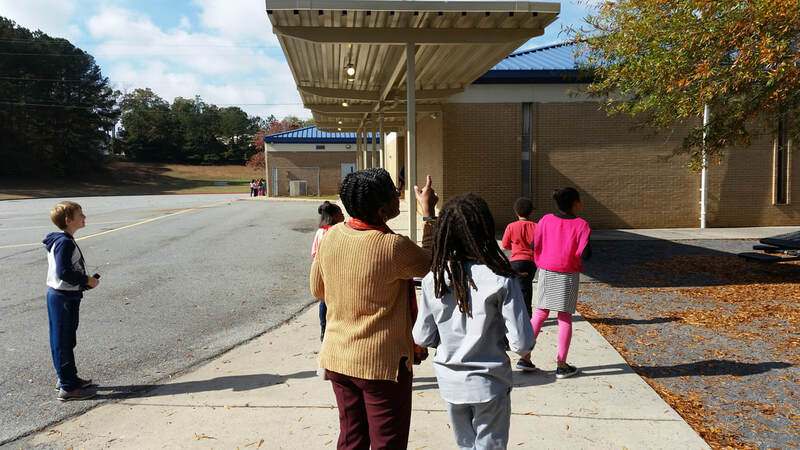 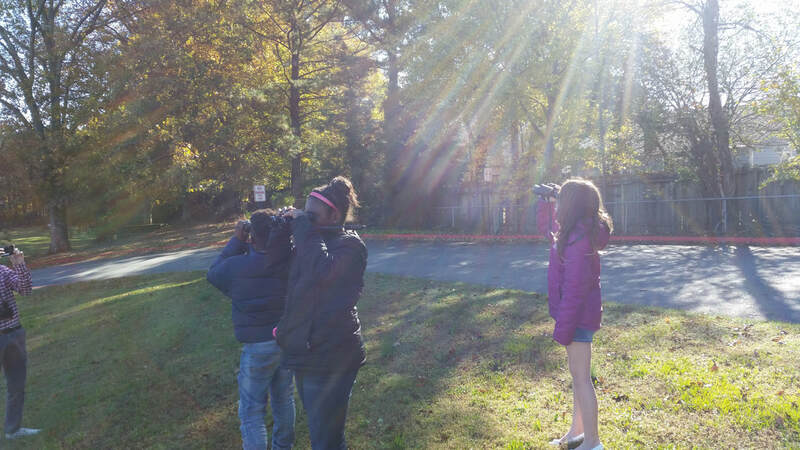 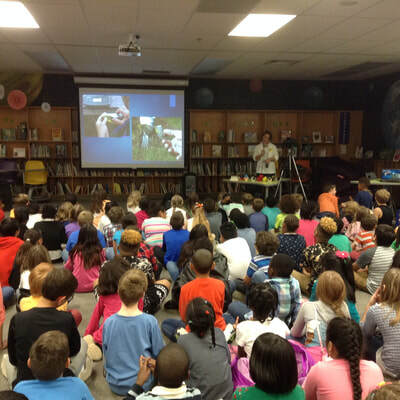 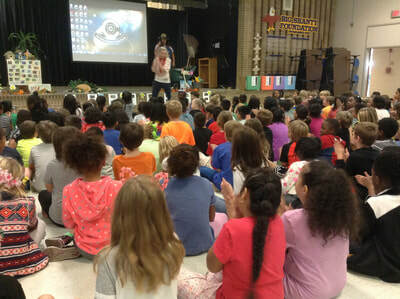 All third grade, EBD, AU, and MOID students research birds native to Georgia Piedmont and go birding with Library Media Specialist. 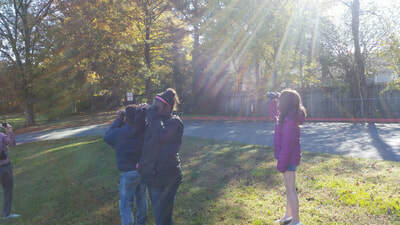 NOVEMBER - Bird Expert Presentation in Learning Commons and go birding. 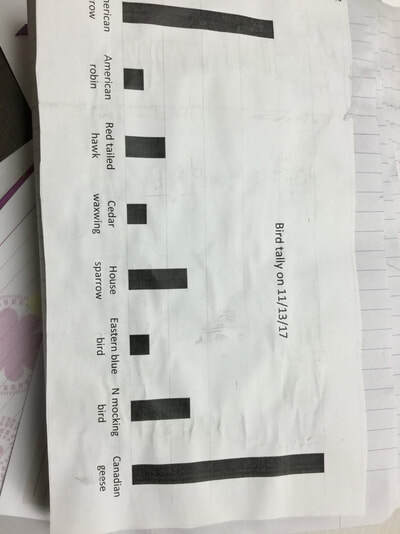 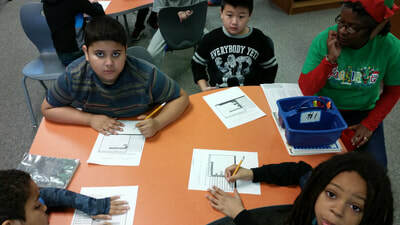 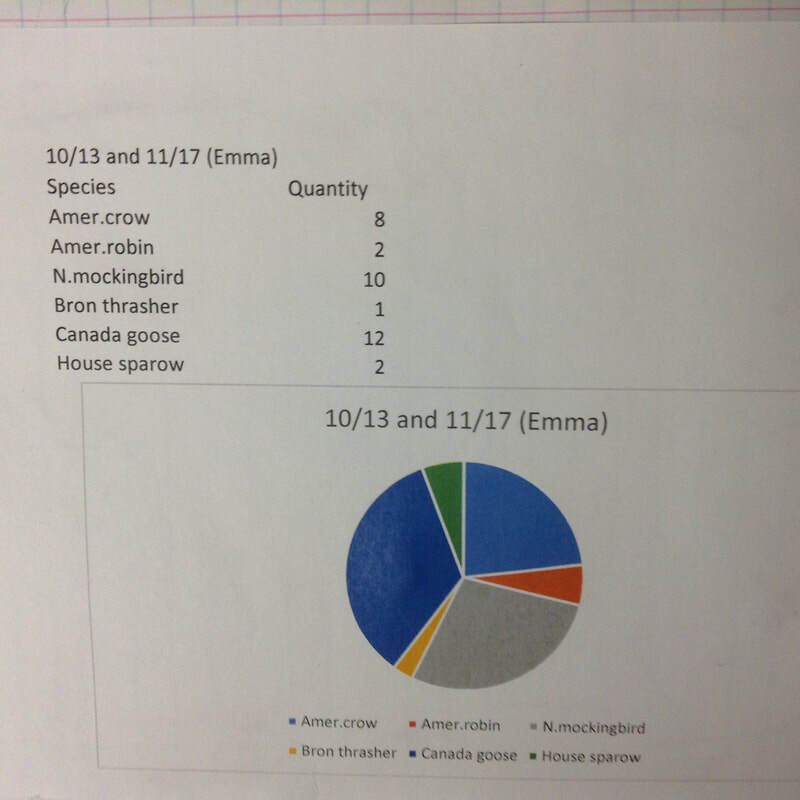 Create graphs of our data using paper and pencil and MS-Excel. 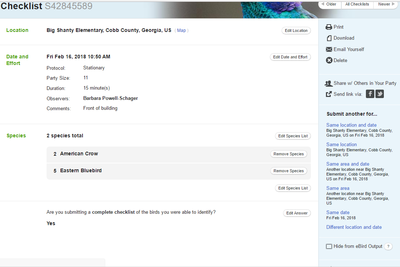 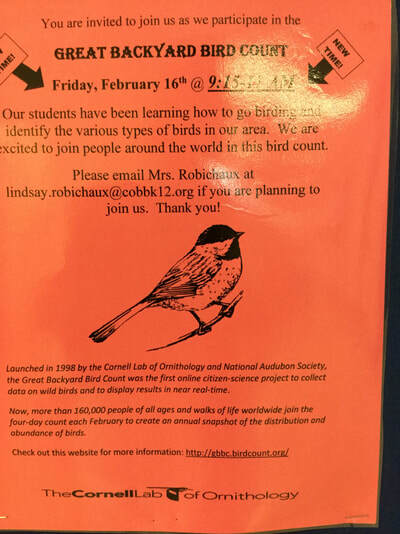 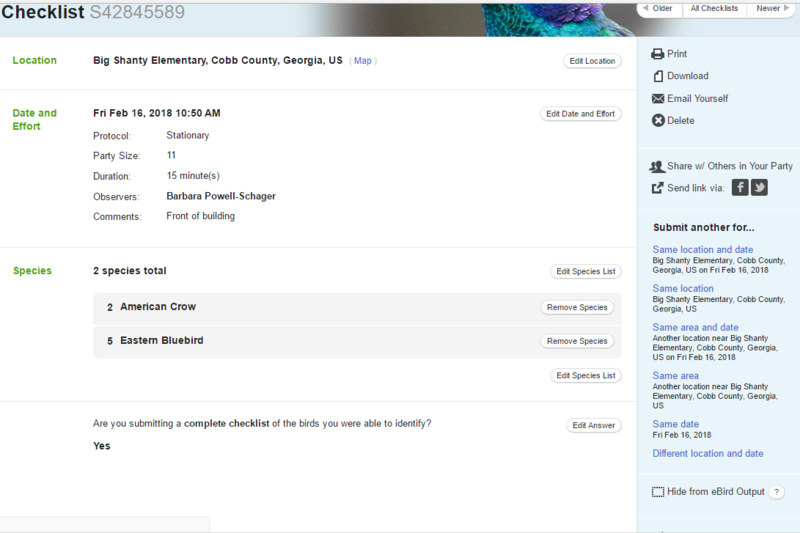 Then upload data to eBird (we are citizen scientists)! 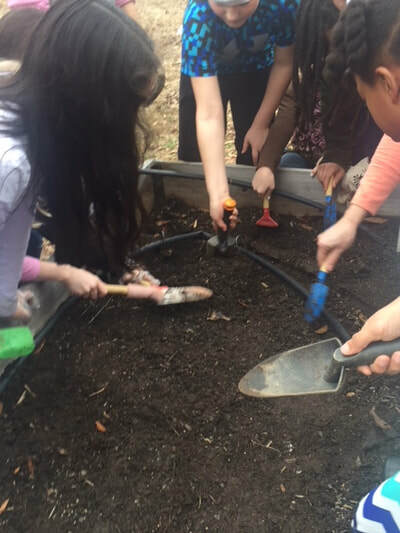 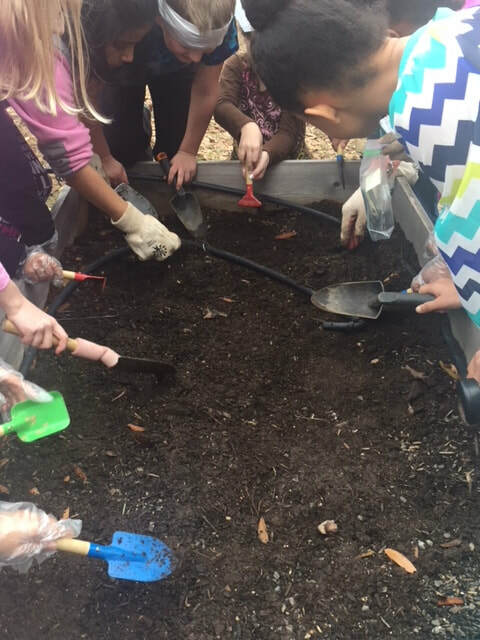 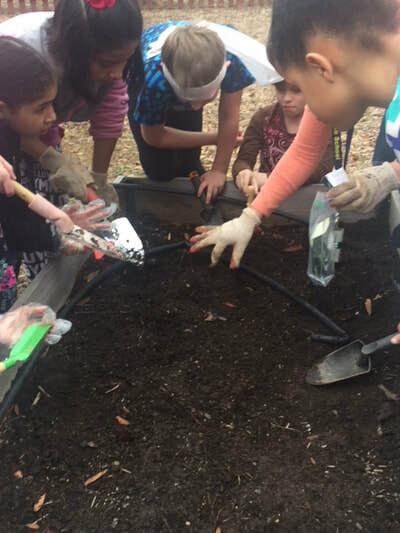 Students from several classes planted the spring garden (lettuce, cabbage, kale, and spinach). 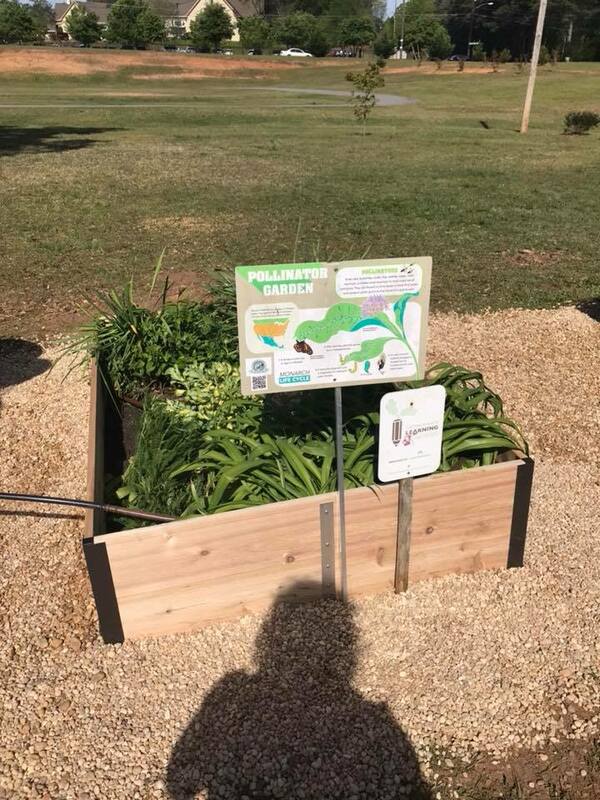 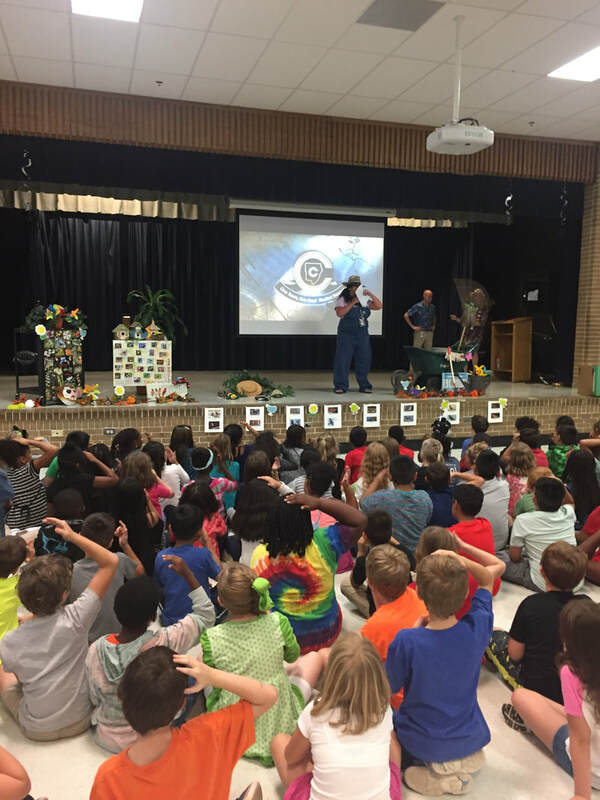 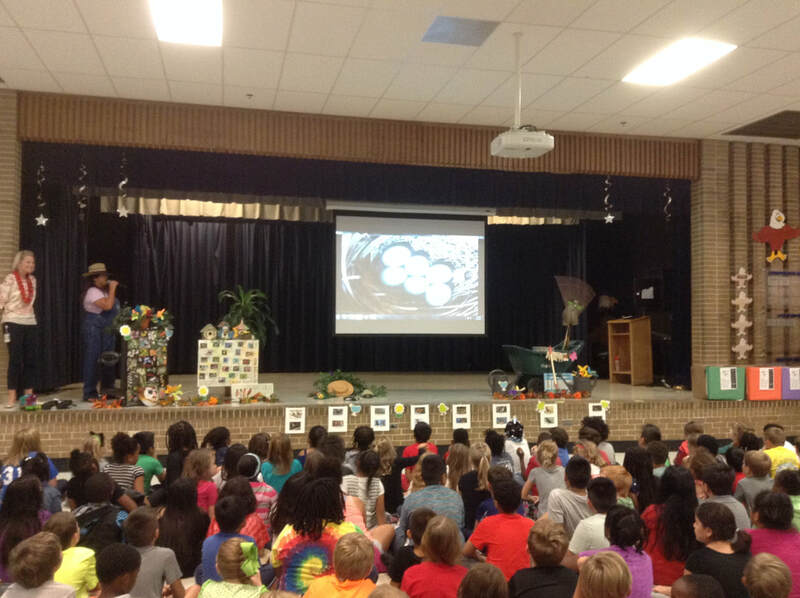 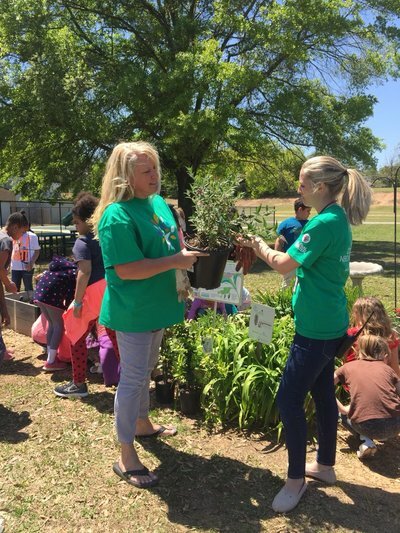 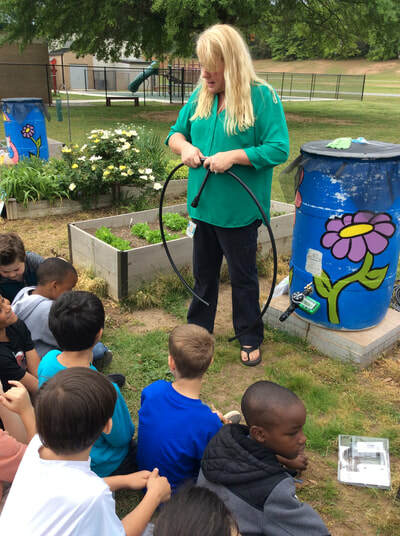 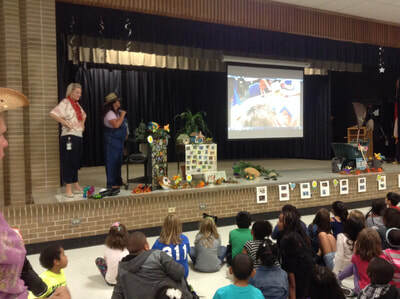 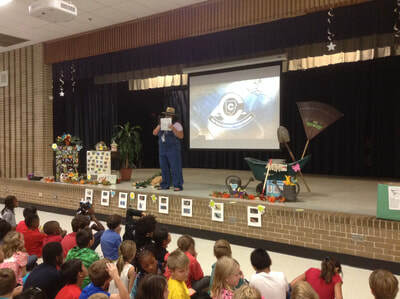 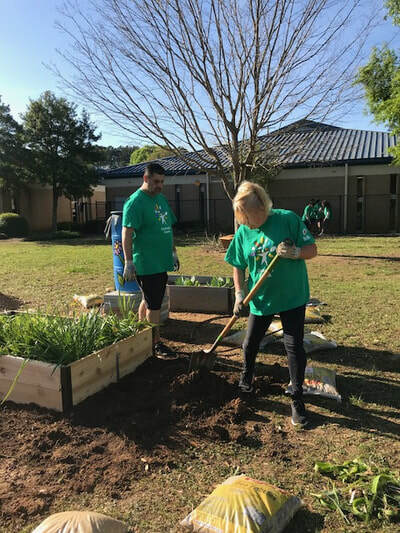 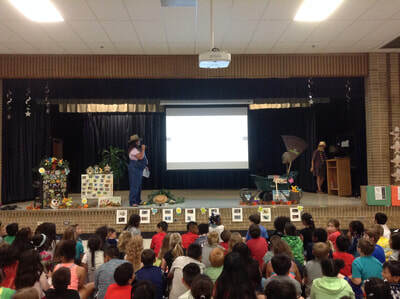 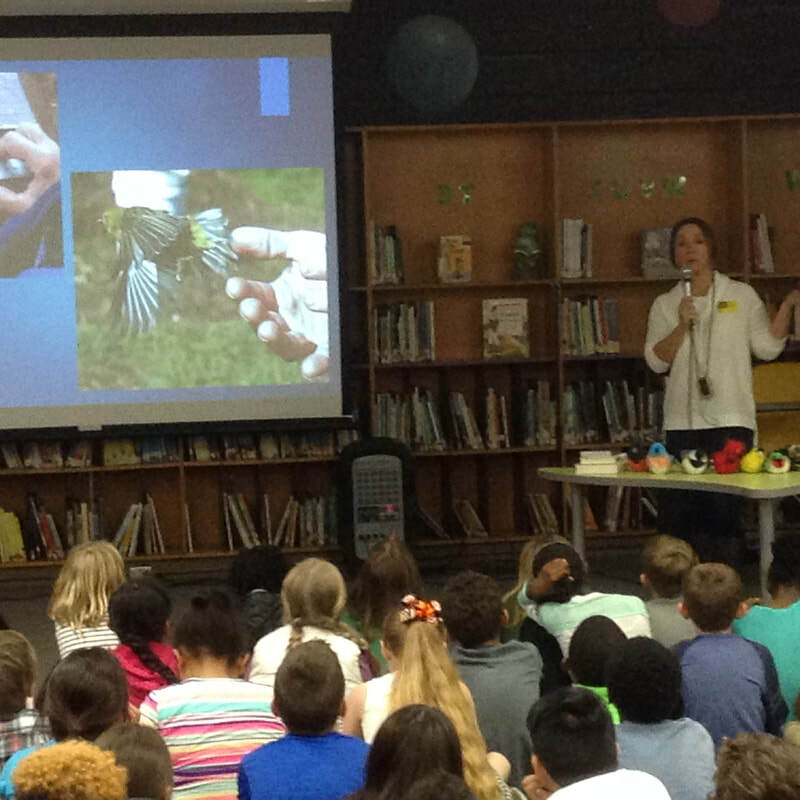 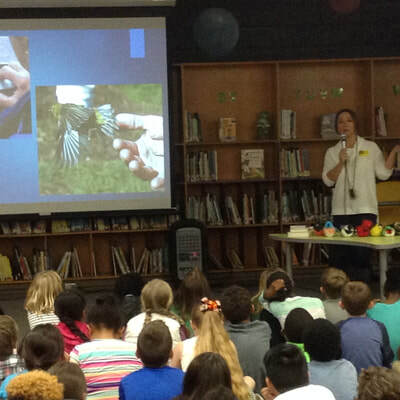 Mrs. Robichaux's class skyped with Lisa Bartlett (Skaggs), Garden Manager, Smith-Gilbert Gardens, to learn more about the best plants to attract birds to the gardens. 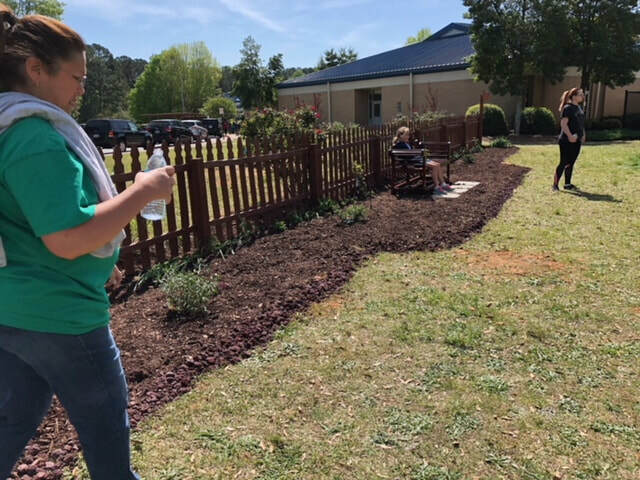 Ruppert Landscaping helps build our ASPIRE (A Sensory Path for Inclusive Relationships for Everyone) pathway! 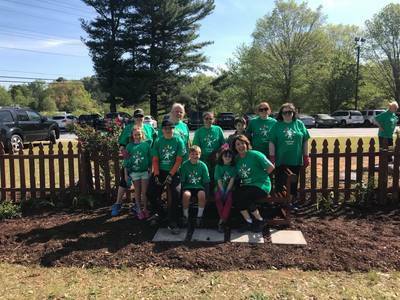 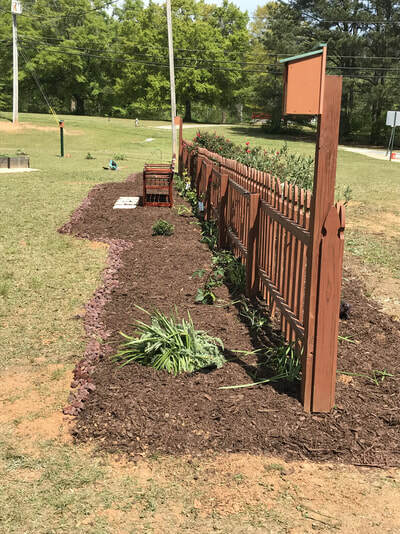 Each of the nine themed sections of the path was designed by each of the different STEM third grade and EBD/AU classes reflecting their individual class' focus (ex. spinners, checkerboards, money for math, etc.). 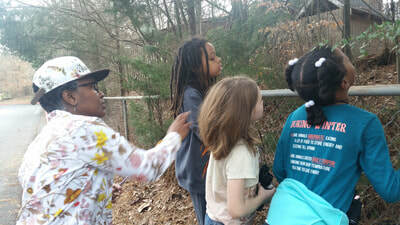 The week of April 23-28 students worked on cleaning up the area, and preparing for the Comcast Cares Day (Saturday, April 28) during which amongst other things the Sensory Garden (one box for each of the five senses, see, touch, smell, hear, and taste) was constructed, bird attracting plants were planted and additional birdhouses and birdbaths were also set. 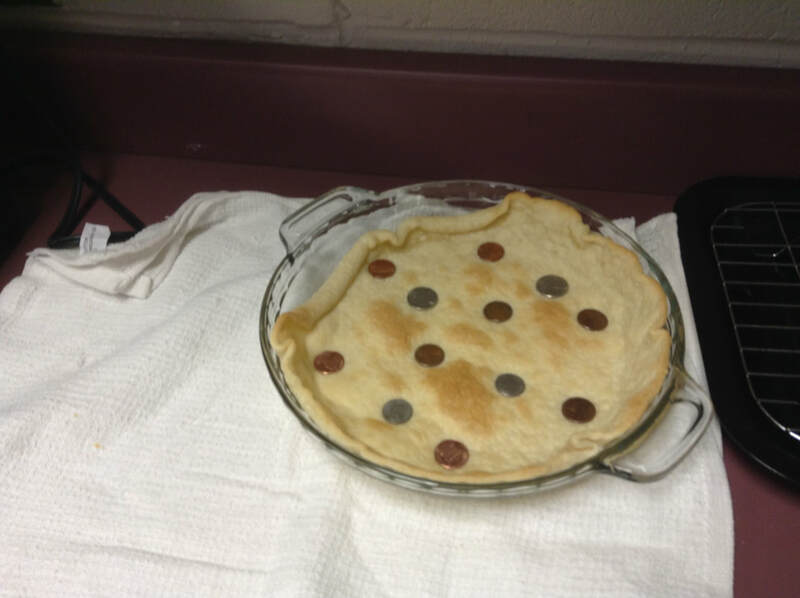 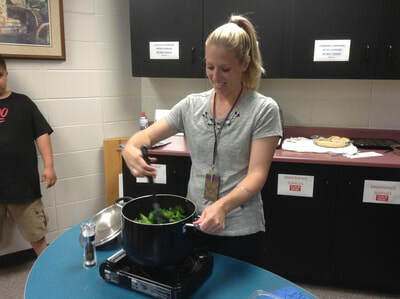 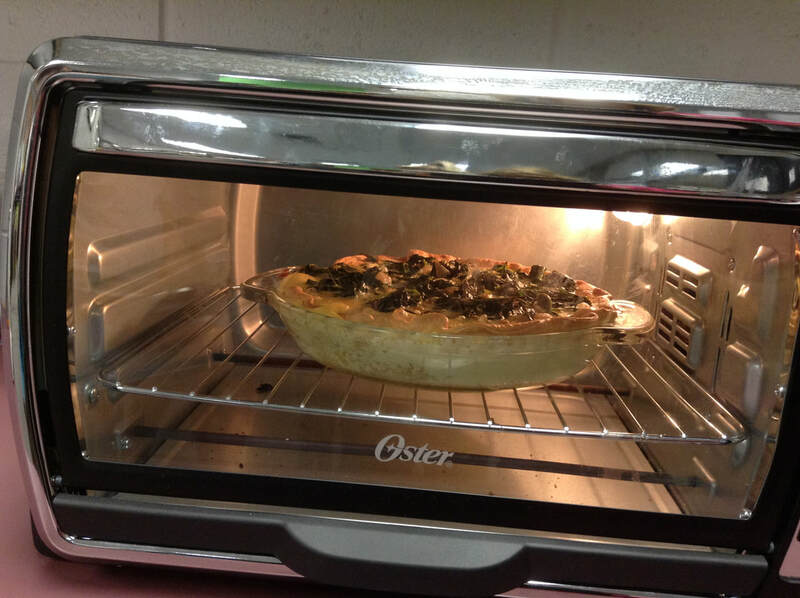 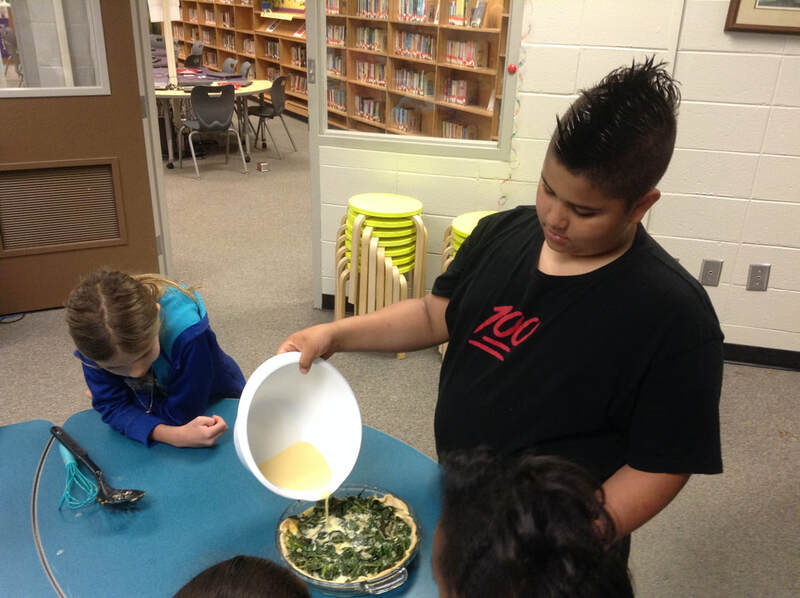 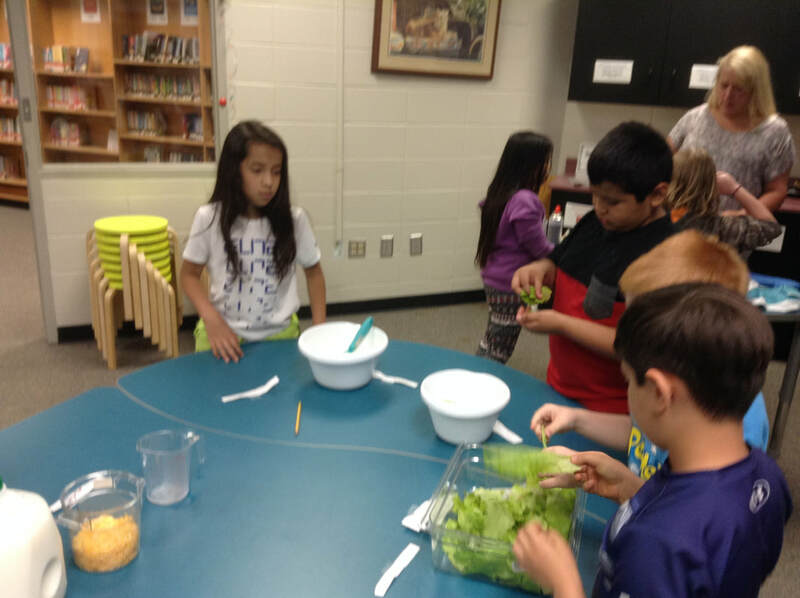 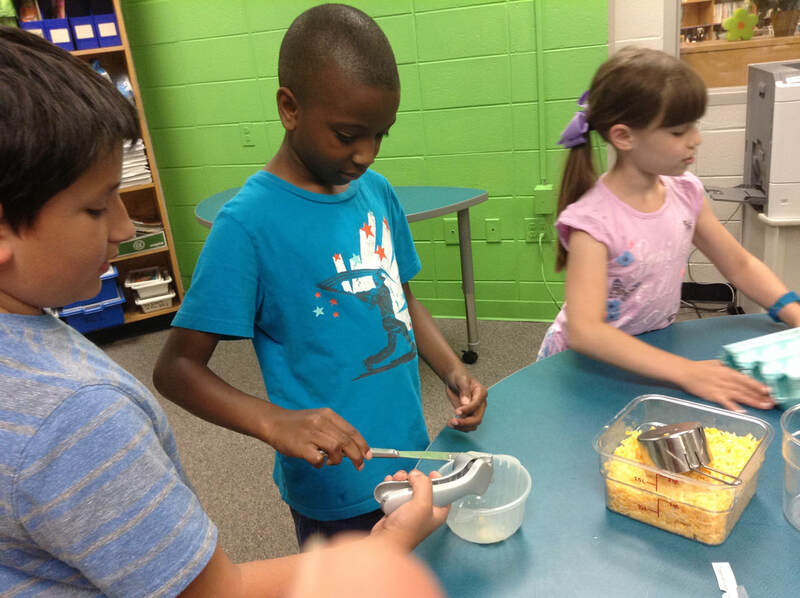 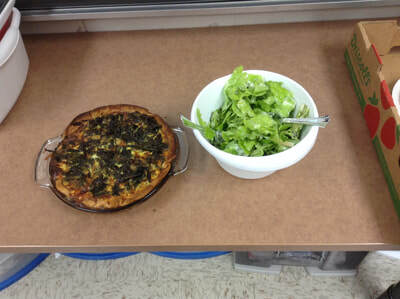 Harvest our garden, cook it in the Makerspace, and eat it...YUM. A true "Farm to Table" experience. 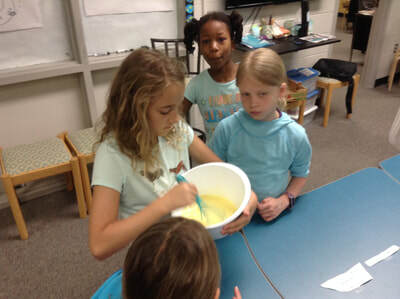 At the school's Garden Gala (5/3/18), third graders served lemonade prepared with the mint they grew. 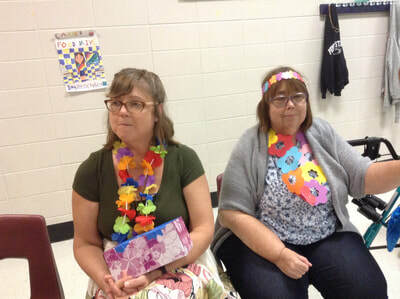 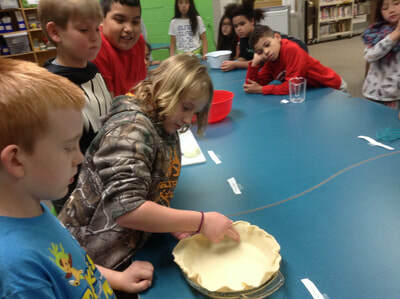 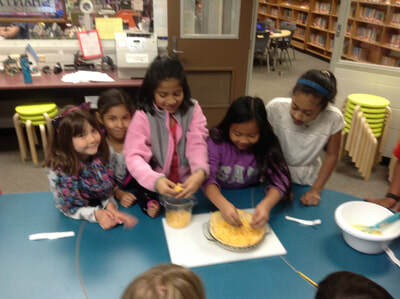 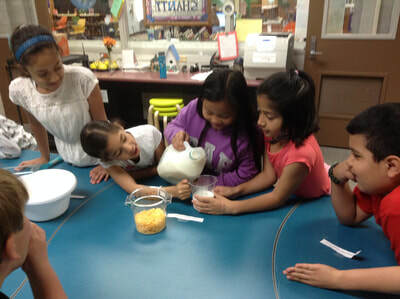 In addition, each partner class presented (Haiku poetry, eco-friendly birdfeeders, "All About Me" stone works, and more. Watch the Garden Gala video here! 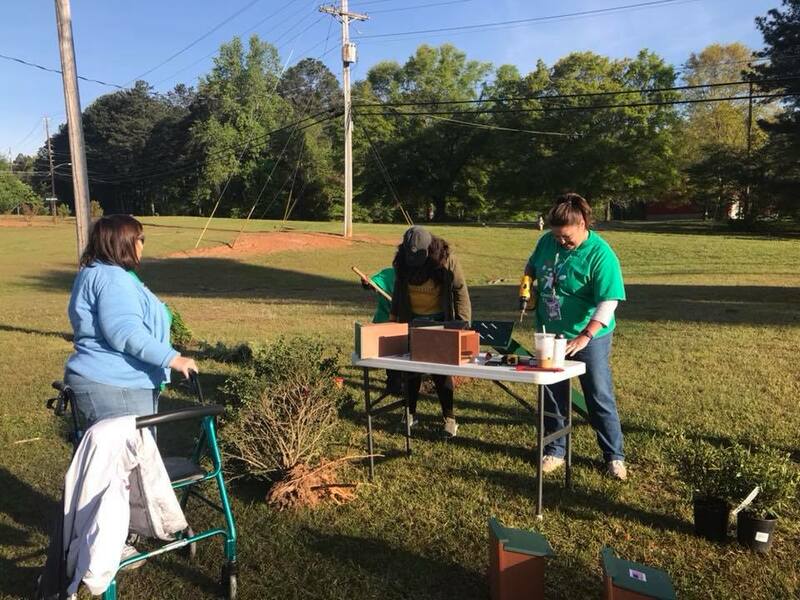 In the LC Makerspace EDB/AU classes were led by a Habitat for Humanity House Leader in the building of bird boxes, which were later strategically hung on campus.